A soldier beetle feeds on the blossoms of Queen Anne’s Lace, which almost hide another insect. I wish it was little wild carrot blossoms, but alas it is snow amidst freezing temperatures. It’s not so bad with a dog by your side and a beetle on your computer screen. 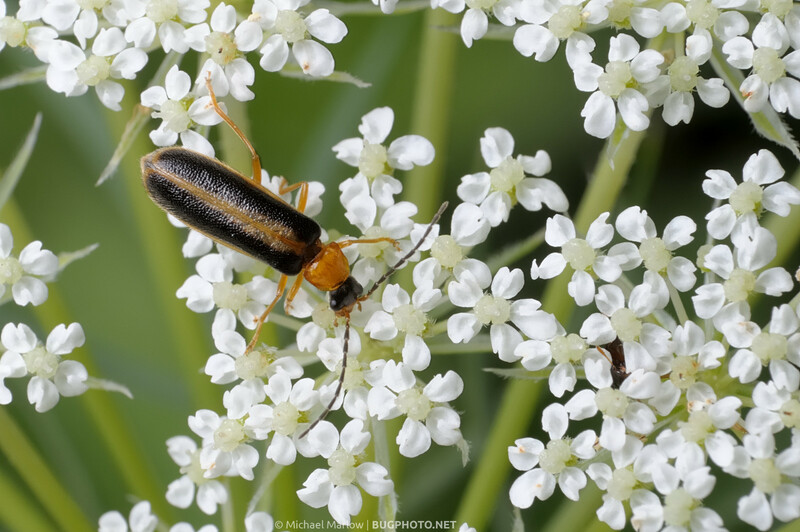 Posted in ColeopteraTagged beetle, Cantharidae, Macro Photography, Queen Anne's Lace, soldier beetle, white, white flowersBookmark the permalink. I’m not a Ninja, but I play one on this plant.